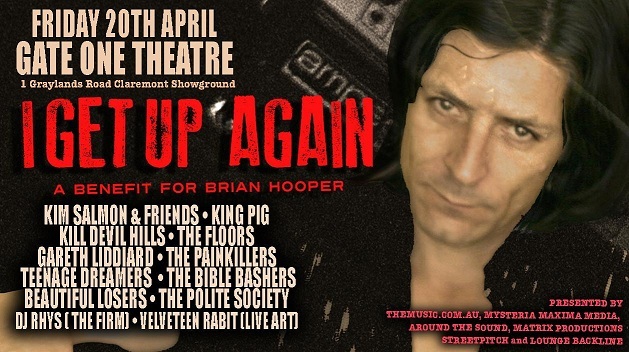 Brian Henry Hooper is an internationally renowned artist who has produced some of the finest blues and punk-based rock music in the last 25 years. Most notably, he has shared the stage and studio with two of Australia’s finest THE BEASTS OF BOURBON and Kim Salmon & The Surrealists. His musical legacy and influence is far-reaching and his life full of adventure and mischief, but unfortunately Brian was diagnosed with incurable lung cancer late last year. with all proceeds donated to a go fund me campaign. It’s not the first time misfortune has knocked Brian down. After a freak balcony fall in 2004, doctors said he would never walk again. They were wrong. Now, Brian faces the toughest fight of all to get back up again. 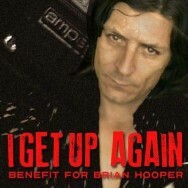 You can also support Brian at the GoFundMe link below.